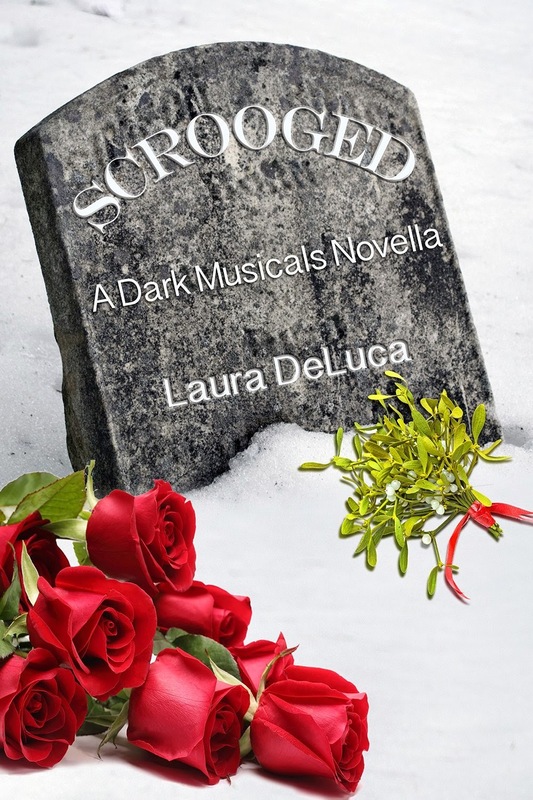 I just finished Scrooged A Musicals Novella by Laura DeLuca and have to tell you, I loved it! It is perfect reading for my evening of sitting with the Christmas tree lights on and a fire in the fireplace. A Christmas Carol story especially the one with Mr. Magoo is one of my favorite Christmas stories. Ebenezer Scrooge gets a message from beyond on Christmas Eve that makes him change his nasty ways before it's too late. It's a book about second chances and how it is never too late to change. Laura DeLuca's take on the story is about the same only this time she uses characters from her Trilogy The Dark Musicals. In Scrooged, "Scrooge" is Stan the father of main character Rebecca. Stan has never liked Rebecca's boyfriend now husband Justyn and Christmas Eve didn't change that. Stan leaves his daughter's home early after an argument and falls asleep watching A Christmas Carol. Well, if you are familiar with the story you can imagine what happens. After being visited by various spirits from the past, Stan must decide if he will get the message and change before it's too late. Scrooged had me laughing, worried and at the end crying because I was so happy. If you have not read a Laura DeLuca book yet, I highly recommend them. You can read my reviews for the Trilogy here , here and here. It is a great series for lovers of Young Adult and romance. I love Justyn and Rebecca and was so happy Laura brought them back in a Christmas book. This sounds like an interesting twist on the classic story. Sounds like a great read from your review she writes wonderful books.